Unlike in the US, you can buy liquor pretty much anywhere--corner stores, supermarkets, whatever. Our neighborhood Casino store has a whole wall of booze. Great, I said, show me to the bourbon. 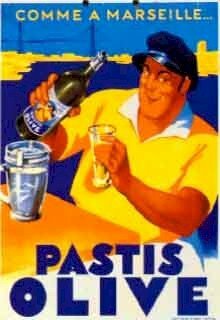 But a closer look shows that a lot of this is Frenchy stuff like pastis, creme de cassis, calvados, and what have you. There's a fair bit of Scotch (and pretty cheap, too) but the only American whiskey is Jack Daniel's, plus something called Old Virginia in a plastic bottle with a cheesy label with fake gold medals printed on it. Well, I can live with some JD, I sez, and go to grab some...holy crap, it's 25 euros! Geez, that's more than Glenfiddich! Thus began my quest for bourbon. I scoured every grocery store in the 6th and the 8th, stood among the teeming millions at Carrefour, left nose smudges on the window glass of every wine shop in the Presqu'ile. Nothing. Jack black's a little cheaper at Carrefour...duly noted. Then, on a tip from a colleague, I sought out an address near Place des Terreaux. Wonder of wonders, there it was: The Whisky Lodge. A whole store of nothing but rank after rank of whiskey bottles in tastefully lit glass cabinets, arranged by place of origin: Highland single-malts, Lowland single-malts, Speyside...Kentucky! Overeager, I swung open the cabinet front...and an alarm went off. A mildly irritated Frenchman (not Scotsman, as I would have guessed) appeared and eased the fifth of Blanton's from my hand. Desolee, I mumbled, red-faced. The clerk ringing up my purchase asked, "C'est un cadeau?" wanting to know if I wanted it gift-wrapped. Non, c'est pour moi. Tout pour moi. I guarded it carefully on the Metro on the way home. In France, one does not eat or drink while walking or driving or even standing, except at the bar. Nibbling at a pain au chocolat on the way to the Metro is like to elicit a sarcastic "bon appetit" from passersby. Most French cars don't have cupholders. It's said to be reflective of the French attitude toward food and by extension, life: some things are meant to be savored and enjoyed, rather than merely inserted and excreted. Which is all well and good; I'm certainly in favor of the two-hour lunch break that is standard at my office. But some days I just want to brew up a batch of coffee at home, take some with me to work, and sip it while I read my e-mail. My colleagues don't understand. "But there is a coffee shop by the cafeteria. Madame makes superb cafe-au-lait-grandes, just as you Americans like. And the view there on the 12th floor is superb." Meh. I don't want to sit and make small talk with people I barely know, when I know I have work I should be doing, while fearing the fresh horrors manifesting in my Inbox...especially at 2 Euros a throw. I miss my go-cup. I'm sure you know this, but... Jack Daniel's isn't bourbon, it's Tennesee Whiskey and says so on the label. But I wouldn't have expected the French to know (or understand)that. In the meantime, my mind is still awhirl from the price you paid for Blanton's.